If you are familiar with Sunnyside, Queens, you know about Dalia's Taqueria on 46th street on the Southern side of Queens Blvd. This taco truck has been satisfying late night taco craves for the past 15 years yet when searching for the truck online, I found very few comments. It seems that the Vagabundos truck is overshadowing it's presence. I've yet to try Vagabundos but it's buzz has made me curious and we will post about them next week. Could this be a classic case of everyone loving the underdog or are the Vagabundo tacos better than Dalia's. We'll shed some more light on our next post but here's our feedback on the ever-present 46th street tacos. Of course I brought along my Mexican food meter (a.k.a. Jaquie) who rated the tacos 9 out of 10. Our hunger may have skewed the rating system but overall the quality of the meat was great and the double tortillas were warm and fresh. I've had all the meats here and prefer the tacos al pastor and chorizo. The tortas (Mexican sandwich) were also very tasty. I'm not exactly sure where and when the word torta was transformed to signify sandwich but it's original Spanish meaning is 'pie' or 'cake'. Either way, Dalia's tortas are served on toasted fresh bread with lettuce, tomatoes, avocado and mayo. It definitely hits the spot after a night of partying or to grab a quick snack on the way back from Manhattan. Jose Antonio Ortega Boneta, the creator of Sazon, the famous Latin American spice has passed away. 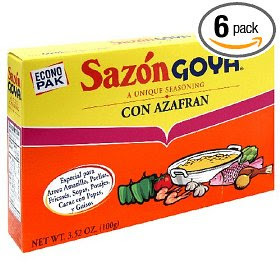 If you are a 1st, 2nd or 3rd generation latino it's highly likely that your homemade meals are spiced with Sazon. In this way Jose Antonio will live on. Sazon has also become a word that represents the sauciness in Latin culture. Adding a little Sazon to your life, is like adding passion to your soul. Whether it's a huge Colombian breakfast with the works- I'm talking arepas with butter, cheese, eggs and steak-, picking up empanadas for a family visit, satisfying your sweet tooth or simply enjoying a bunuelo (cheesy bread balls) and some pure Colombian coffee, this little bakery is a home away from home. 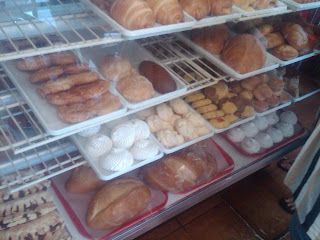 Wherever you reside, I hope you have a Colombian bakery near you. 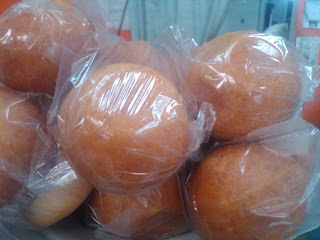 My Neighborhood bakery is located on 162nd street between 43rd ave and Northern Blvd. Ceviche, the sweet acidic tiger's milk marinated fish that serves as a refreshing meal on a hot day, has a history that is undefined. While Latin American coastal countries debate about its origins, Spain also joins the argument claiming that the conquistadors brought this to the new world. Either way, this lean and delicious treat can be prepared with any type of fish and an extensive variety of ingredients. The pic below is from our visit to Pomaire. 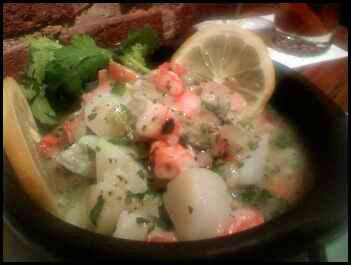 This post written by Kelly de Borda gives us a brief history of Ceviche and a delicious way to prepare it.